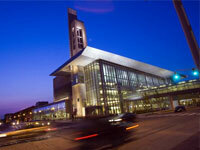 INDIANAPOLIS -- The IU Kelley School of Business Indianapolis is celebrating International Women's Day by announcing its partnership with Talent Nexus, a community-based mentoring initiative. Coming from Diverse Talent Strategies, Talent Nexus is a model of mentoring designed to help employers attract, retain and develop talent. The program uses a software system to help employees -- and now Kelley students at Indiana University-Purdue University Indianapolis -- build the skills needed to be good mentors as well as connect with qualified mentors in the business community. "We are thrilled to partner with the IU Kelley School of Business to provide mentors for this next generation of students soon to be emerging into the workplace," said Alison Martin-Books, managing director at Diverse Talent Strategies. "Mentoring has the capacity to help people take charge of their own development. Whether you're a woman or part of any underrepresented category, creating an opportunity to develop relationships to propel your career is something we feel passionate about." A study completed by Diverse Talent Strategies shows mentoring is particularly important for women and underrepresented groups in the workplace because those employees often face additional challenges in obtaining employment and moving up to positions of leadership. "Our goal is to inspire women to find their own true success. We believe this partnership with Talent Nexus is the next step in enabling them to be a successful part of the business community," said Kim Saxton, clinical associate professor of marketing at Kelley Indianapolis. "Your network is critical, whether that's finding your first job out of college or later in your career as you seek quality employees. Research shows women tend to deprioritize the practice of seeking out mentors." "We hope this partnership will allow our Kelley women and underrepresented groups to gain confidence, receive training to maximize mentoring and learn from business leaders throughout the community," Saxton said. "We are most excited about two aspects of the Talent Nexus program: First, our students will get training on how to get the most out of a mentoring relationship and how to be both a good mentor and a good mentee. Second, they will have access to a wide variety of mentors in the Indianapolis business community. We are excited to play an active role in connecting Kelley students to Indianapolis businesses. It's a win-win in connecting companies to the talent they need." Learn more about Talent Nexus and Diverse Talent Strategies online. The Indiana University Kelley School of Business has been a leader in American business education for more than 95 years. With over 107,000 living alumni and an enrollment of more than 10,500 students across two campuses and online, the Kelley School is among the premier business schools in the country. Kelley Indianapolis -- based on the IUPUI campus -- is home to a full-time undergraduate program and four graduate programs, including master's programs in accounting and taxation, the Business of Medicine MBA for physicians, and the Evening MBA, which is ranked sixth in the country by U.S. News & World Report. Learn more at kelley.iupui.edu. Kelley Evening MBAs expand their career trajectory through a professional development workshop on negotiations. Pictured, from left, are Megan Brimmer, Kelly Blair, Iris Huixian Wang, Lena Asbury, Momo Wilson, Karen Preusch and Ingrid Llaveshi.